So that was Computex Taipei 2013. Asia’s largest IT show and the world’s second biggest was dominated this year by the launch of Intel’s 4th generation Haswell processor family, and to be perfectly honest there wasn’t an awful lot of other news knocking around, but here’s my brief take on events. Local heroes Asus and Acer kicked things off in usual hyperactive fashion with a bevy of tablets, notebooks, smartphones and other hybrid devices. The most notable was probably Asus’ 3-in-1 Transformer Book Trio, which combines a notebook, tablet and even desktop functionality in one. Acer’s presser was more subdued and it remains to be seen whether it’s done enough to win back some of the market share it’s been hemorrhaging over the past few quarters. It actually also depends on whether users decide they want 2-in-1 notebook/tablets – as Intel believes they do – or a regular notebook with a smaller companion 7 or 8 inch tablet (phablet) device like the Acer Iconia W3. How this market shakes out will be interesting to watch and to be perfectly honest no-one knows how it’s going to play out, least of all the many analysts I spoke to. It’s all about price, performance, and user experience – nail those three and as a manufacturer you’re giving yourself the best chance of success. Intel was marketing the hell out of the 2-in-1 concept at the show on the back of its Haswells and Silvermont Atoms, but I’m not convinced this will work out as intended. It makes sense on paper – a tablet for tablet stuff and a notebook for work, in one hybrid device – but if you’re a fanboi, for example, you’re not going to want to give up your iPad, so a convertible isn’t going to cut it. 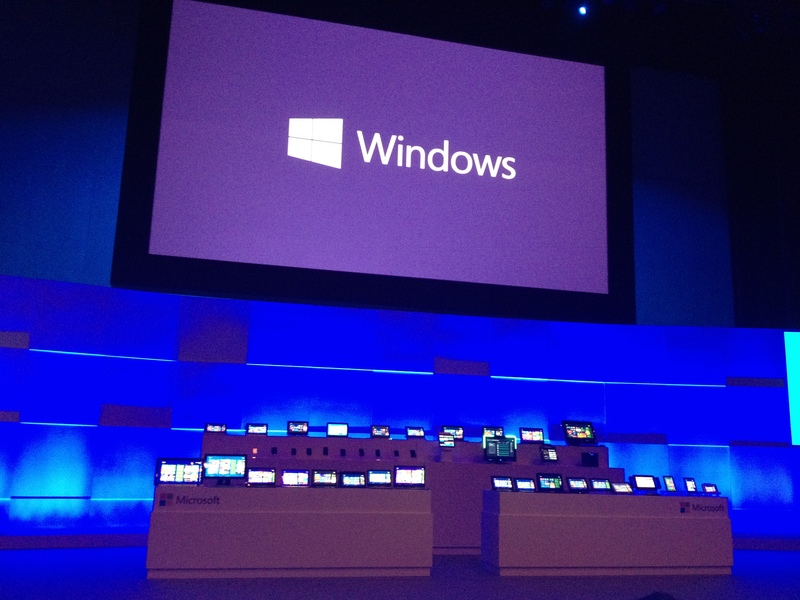 Form factor chat aside, Microsoft held its first public demo of Windows 8.1 at the show – the OS Windows 8 should have been. There are a lot of cool features in there – better search, the ability to view several apps on one screen and resize them, and the long awaited return of the Start icon. However, the experts are pretty guarded about whether it will be enough to a) rejuvenate the PC market and b) help Redmond grab more market share in the mobile computing space – tabs, phabs and notebooks. “Being able to lock it in desktop mode and having a ‘Start Point’ will remove the chief barriers that people have with Windows 8. But that doesn’t necessarily address the things that are holding back the PC market as it is,” Forrester analyst David Johnson told me. Taiwan was quite honestly the star of Computex this year. I mean, it always has been, but the lack of news made it even more obvious. This is a country whose technology producers account for 80 per cent of the global “branded” tablet market and over 90 per cent of Intel notebooks. They might all be physically made in China but they’re designed here. The IP, basically, is Taiwanese. It raises an interesting point about whether the People’s Republic of China can ever hope to emulate its tiny neighbour the Republic of China. The Communist Party desperately wants it to start innovating, but you can’t just turn on that tap at will after decades of stealing and copying IP. Rubber ducks perfectly illustrate just how far it has yet to go. Hong Kongers have been fawning over a new installation from Dutchman Florentijn Hofman for weeks now. It’s a giant, six storey, yellow rubber duck floating in Victoria harbour. Now reports have emerged that similar ducks have been spotted across China, from Wuhan to Xi’an. They say imitation is the sincerest form of flattery, but in the tech world, it’s going to get China absolutely no-where.